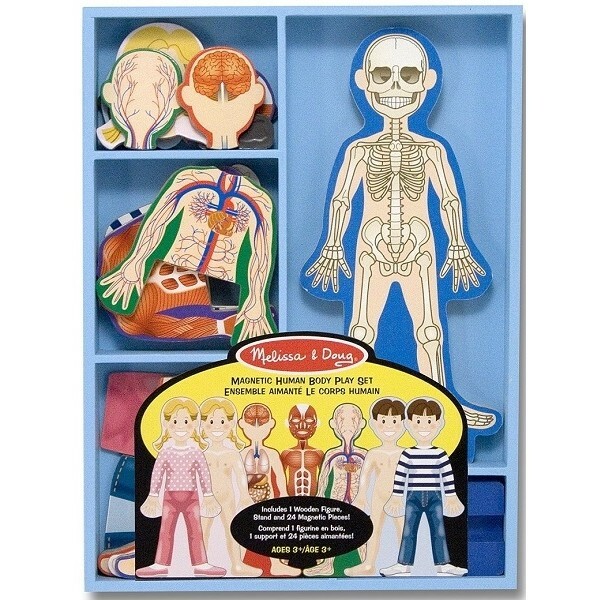 Better than X-ray vision, this magnetic wooden figure from Melissa and Doug is a fantastic learning aid! 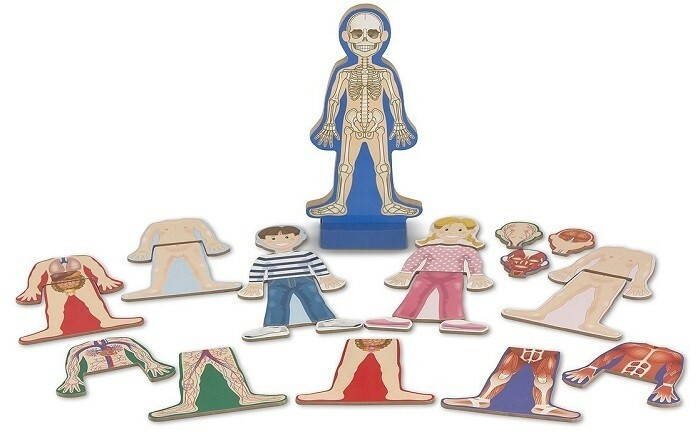 Help children visualize the skeleton, internal organs, circulatory system, and more, by placing magnets on the body. This set includes anatomically correct magnets for both boys and girls and a wooden stand. 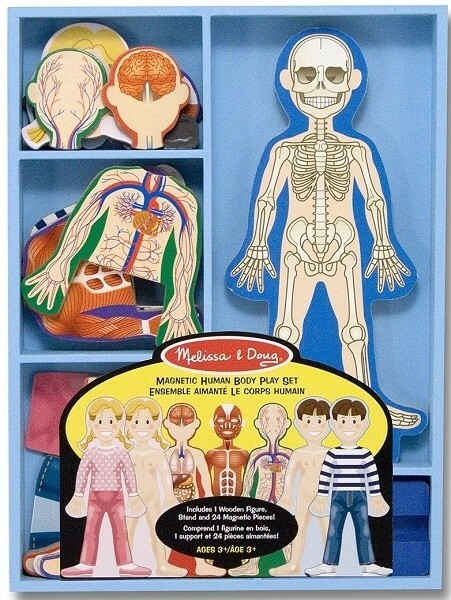 For more toys to encourage an interest in science, including the human body, visit our Science / Math Toy Collection.